FG110/FG120 have been developed with the concept of a simplified architecture at a low price. With the emphasis on the most often used functions, the concept allows easy operation and gives you the right signals you need in making evaluations. 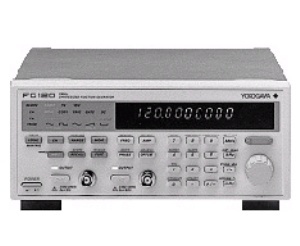 Direct digital synthesis is used to generate highly accurate signals. All these functions make both of these models an excellent choice of a signal source in a wide range of applications, from research and development to production.